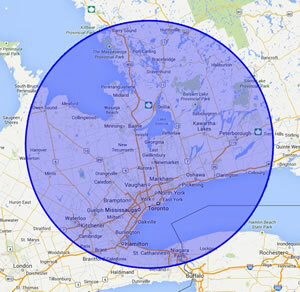 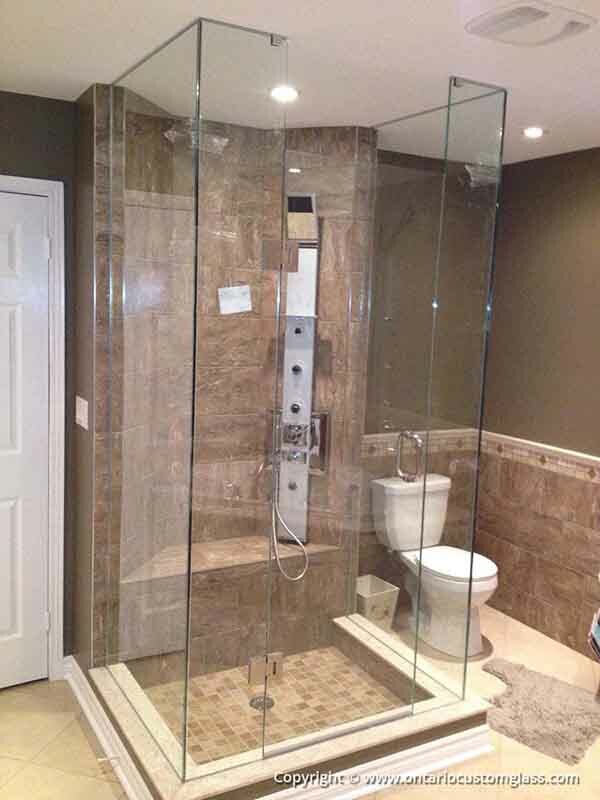 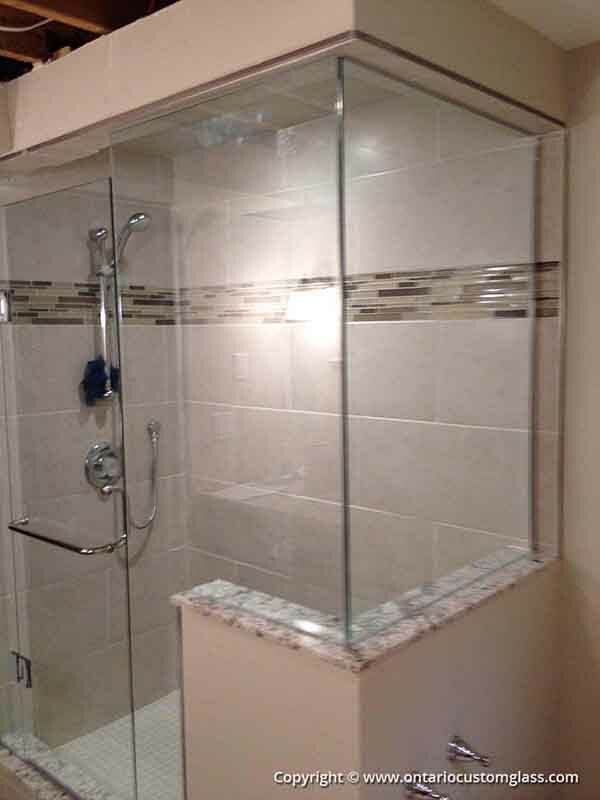 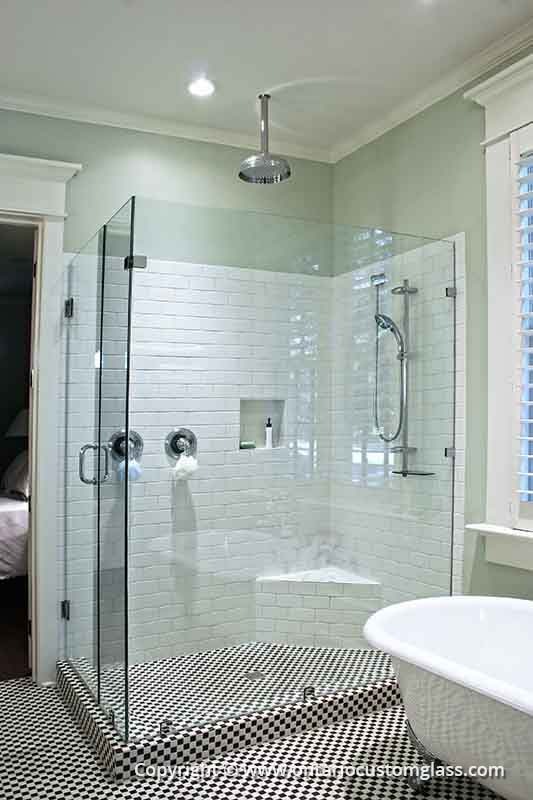 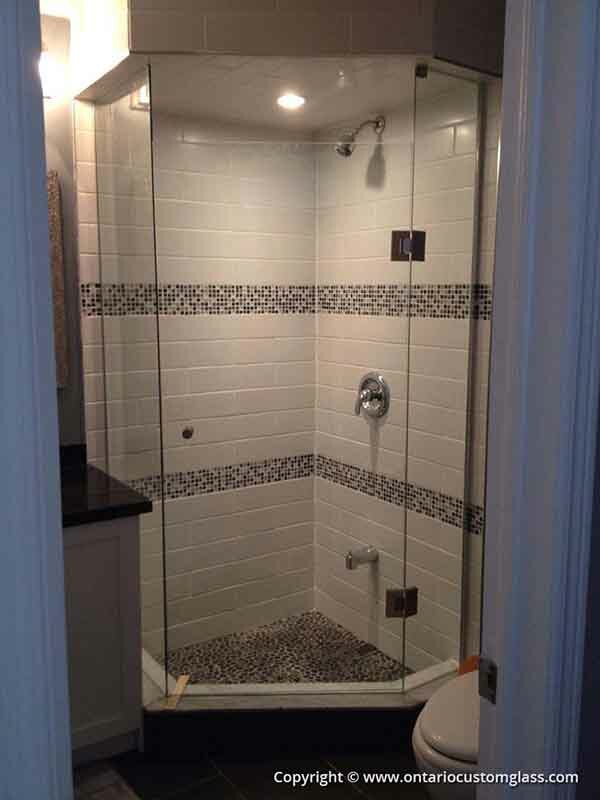 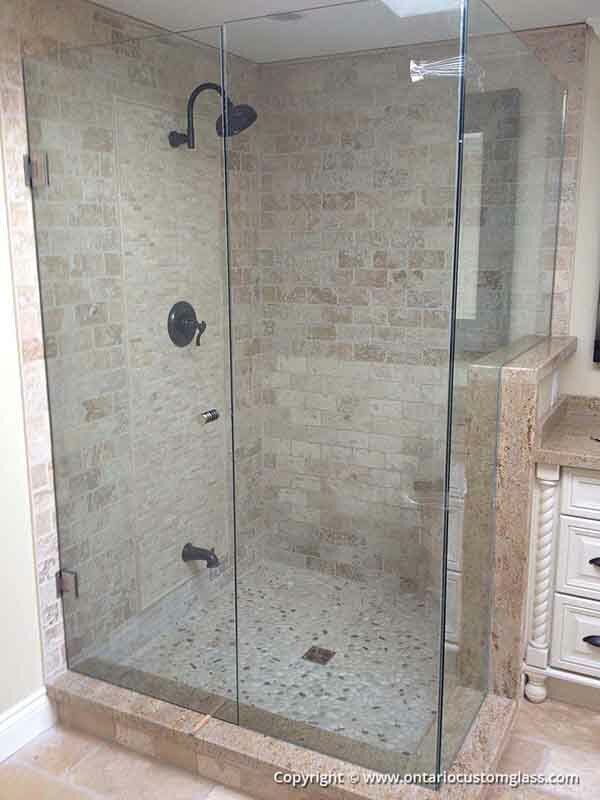 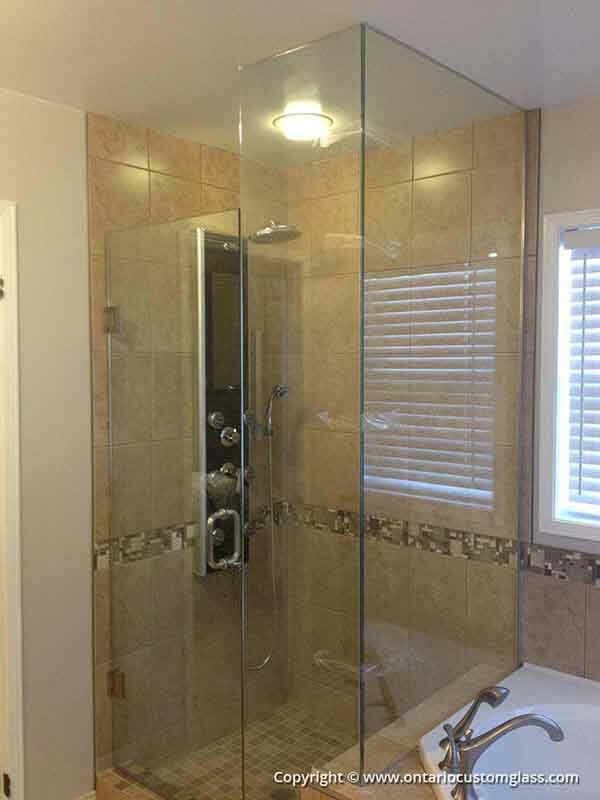 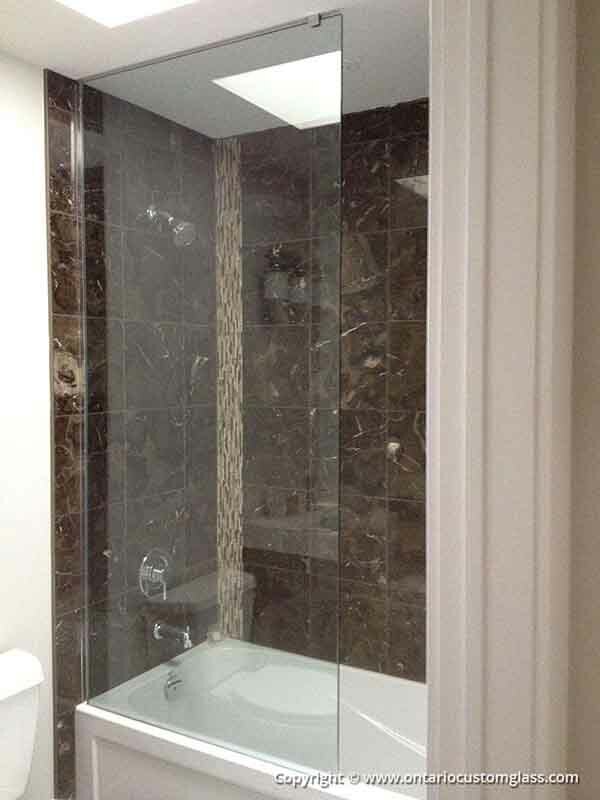 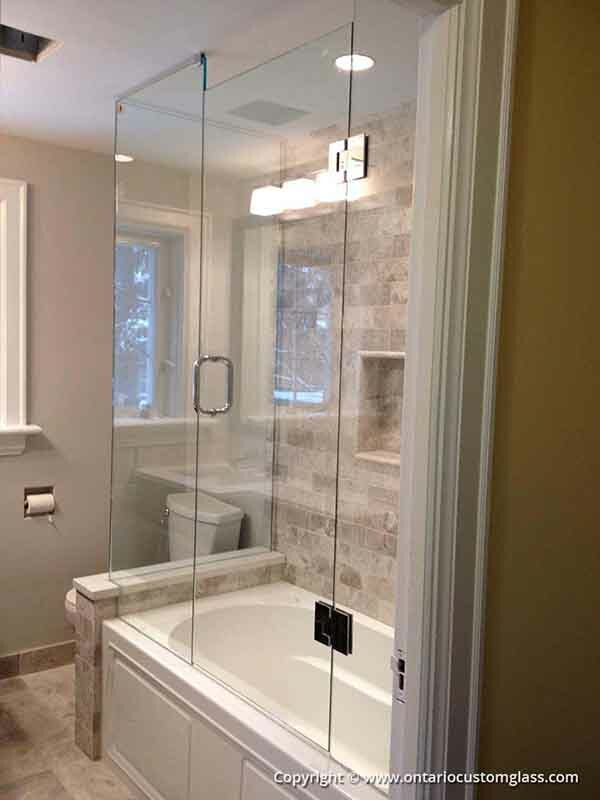 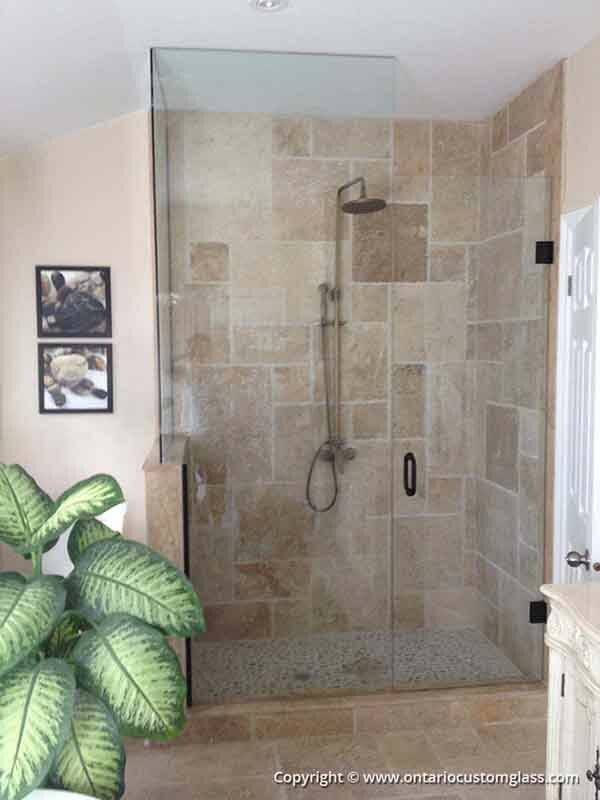 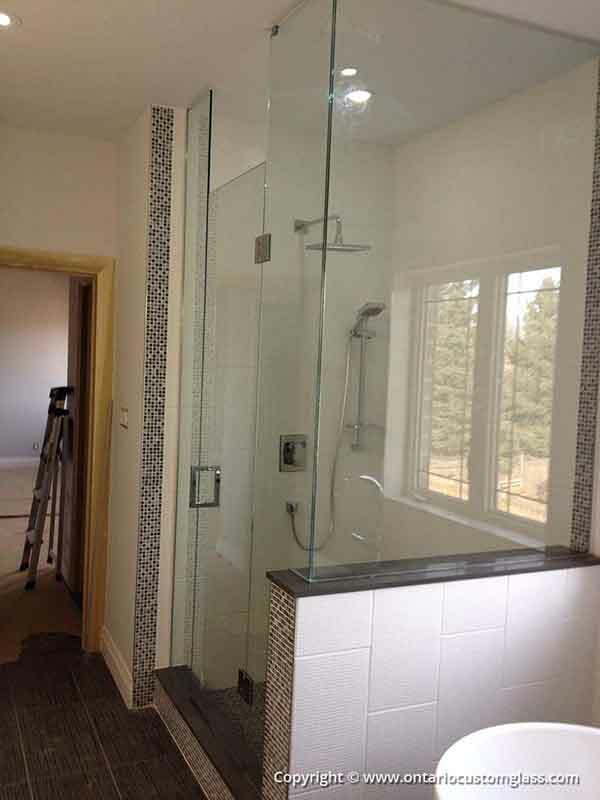 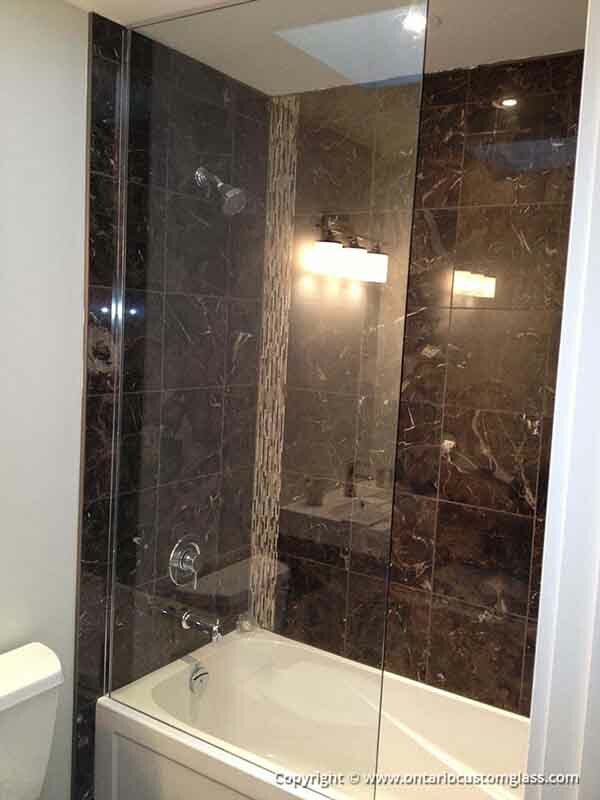 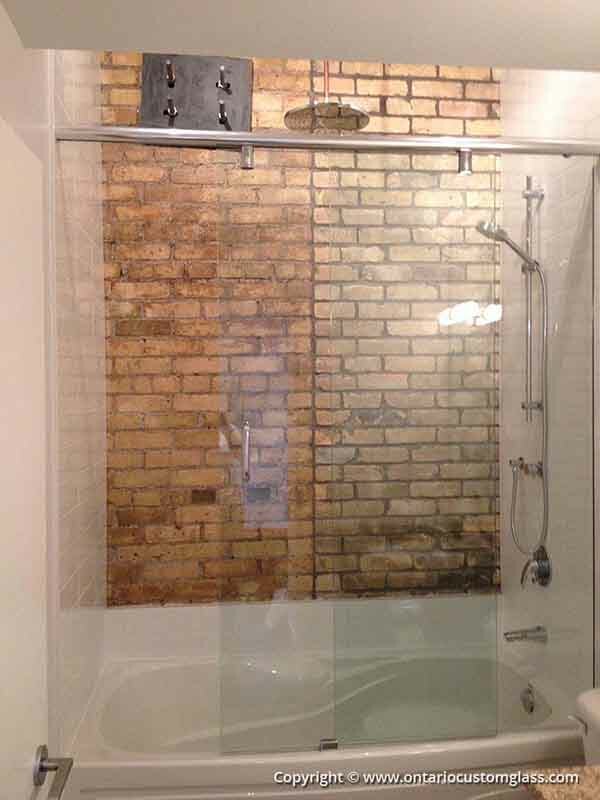 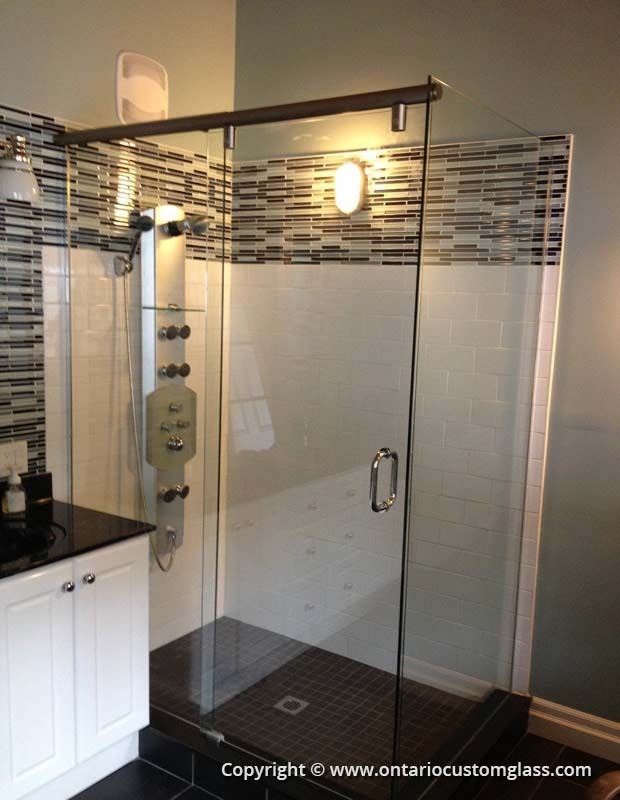 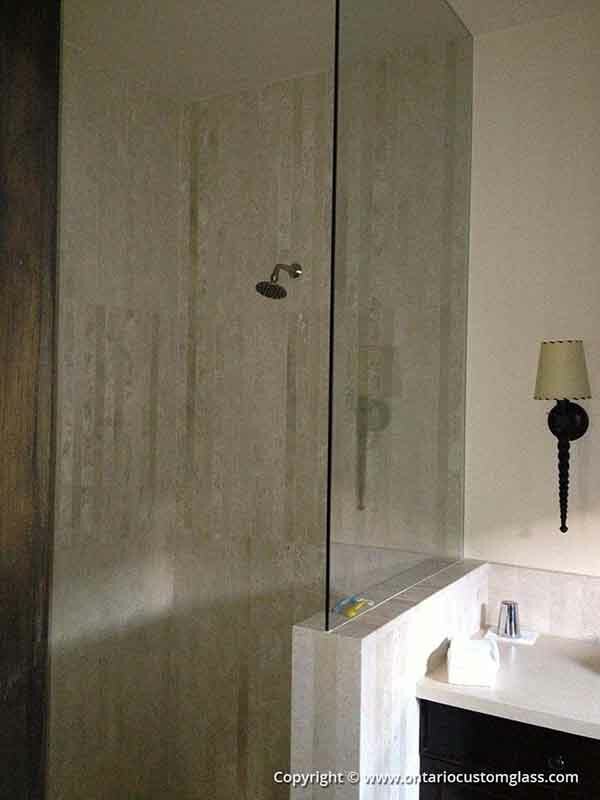 Ontario Custom Glass has a multitude of designs and “looks” for whatever glass shower project you can think of. 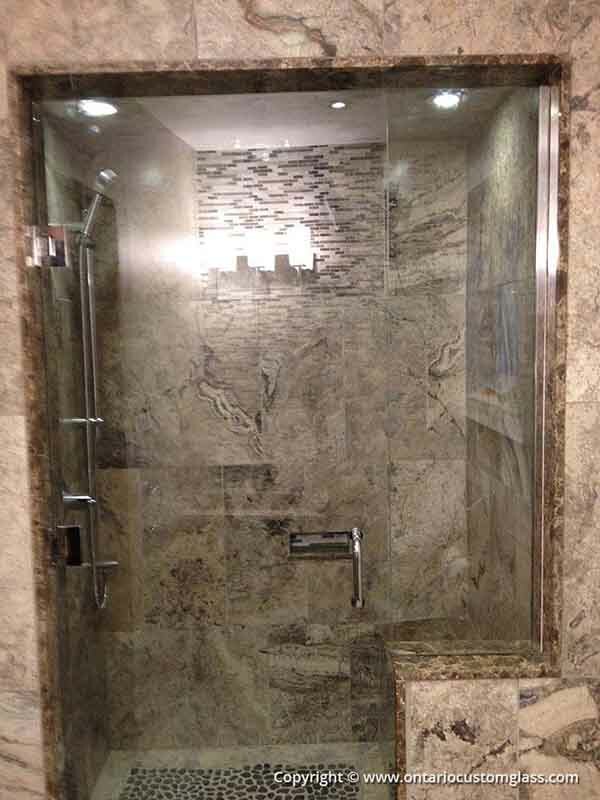 This page is dedicated to some of the many shower design we have worked on in the past. 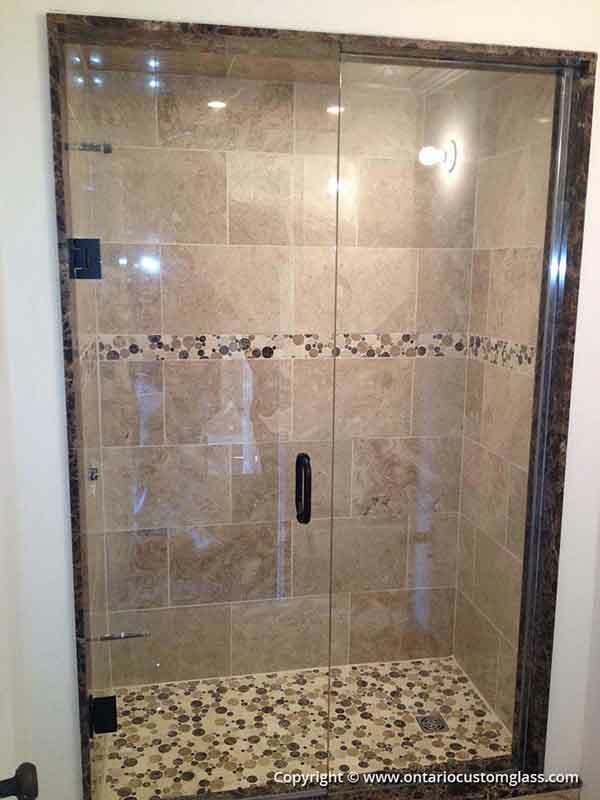 As you browse through the collection, remember that even though there are numerous examples of the styles, colors and dimensions in our shower design photos, there is a wide range of other combinations from which you can mix and match for the unique solution to your shower or bathroom project. 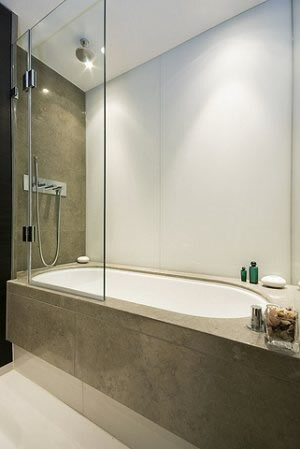 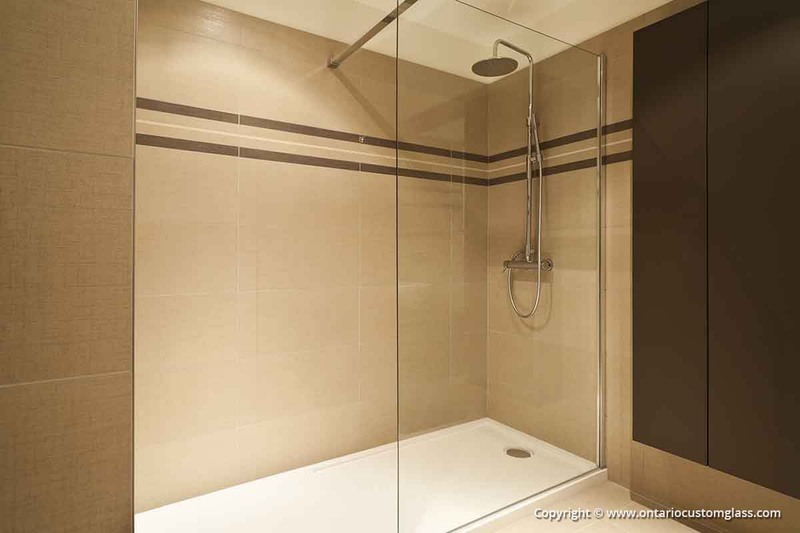 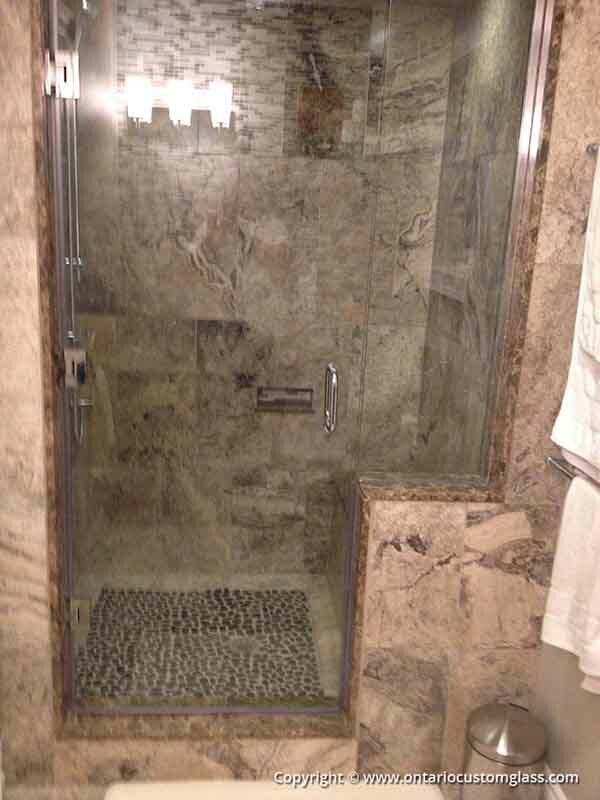 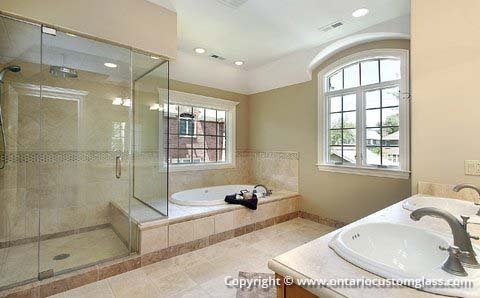 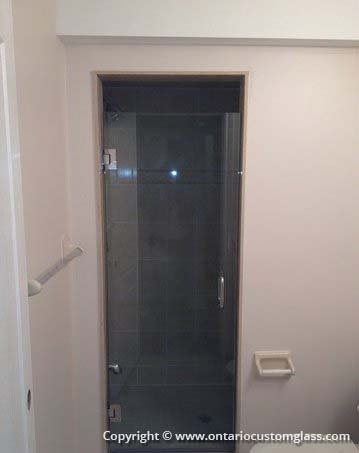 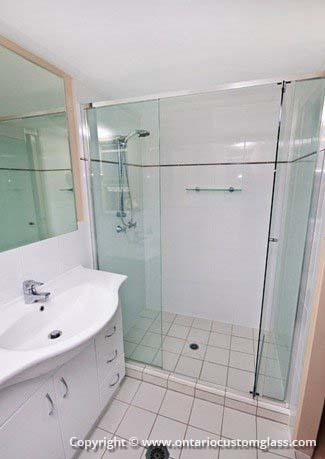 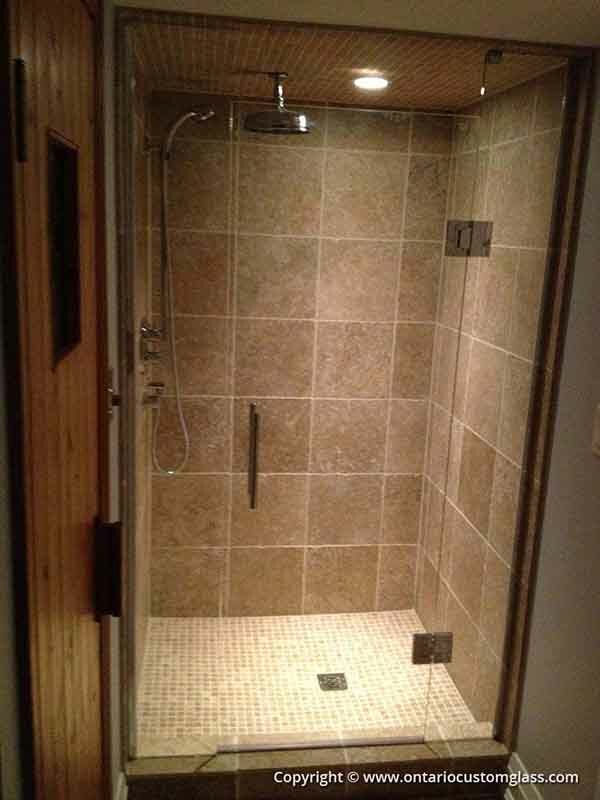 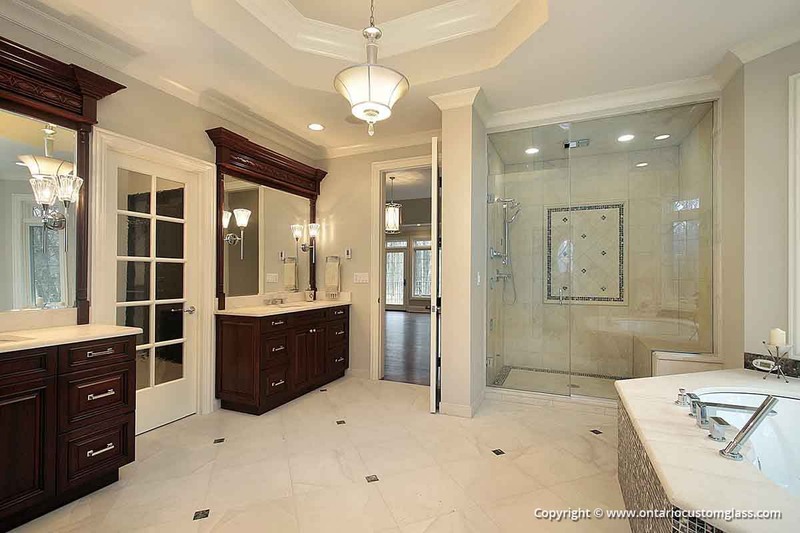 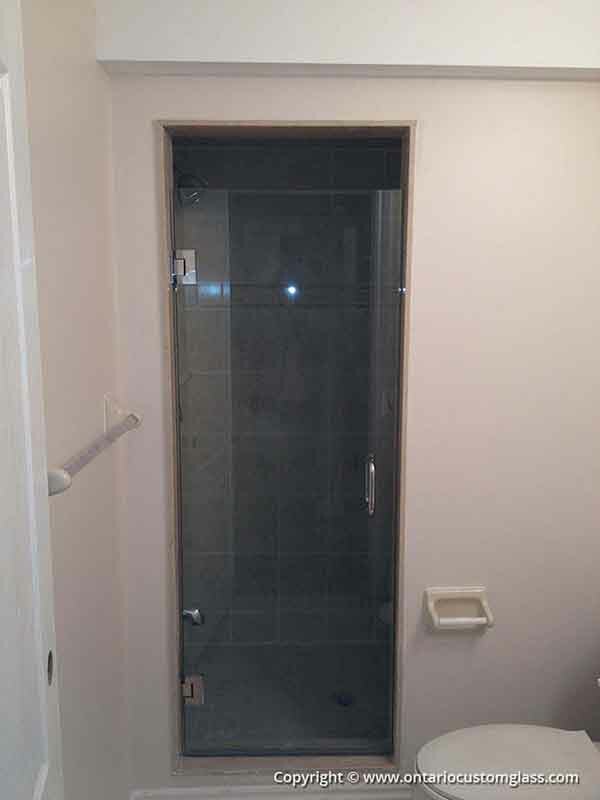 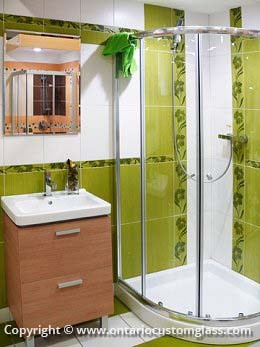 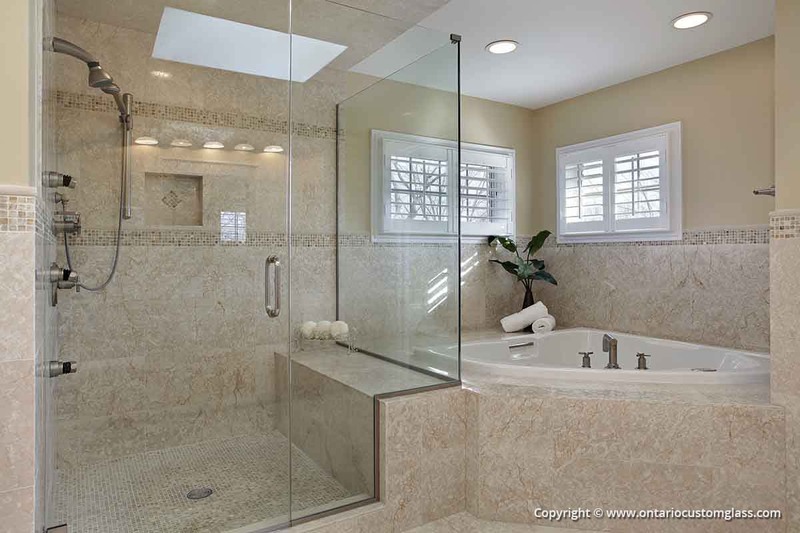 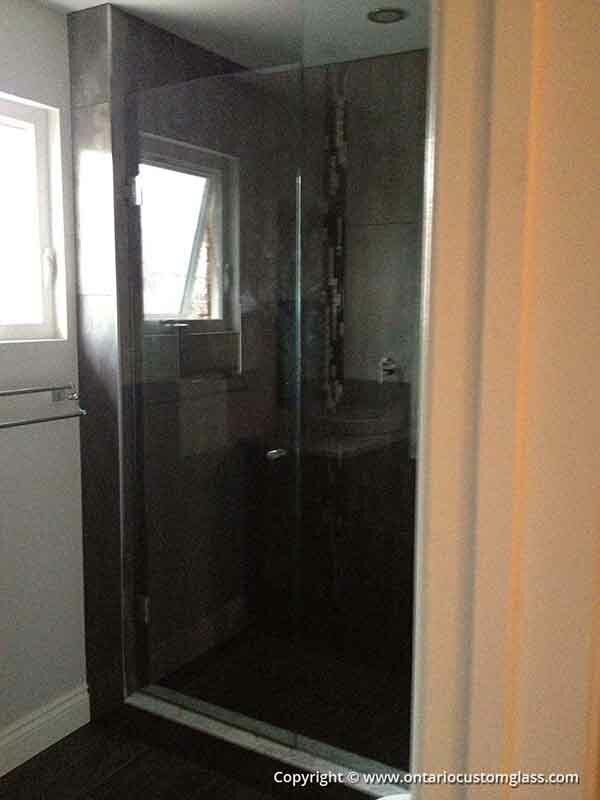 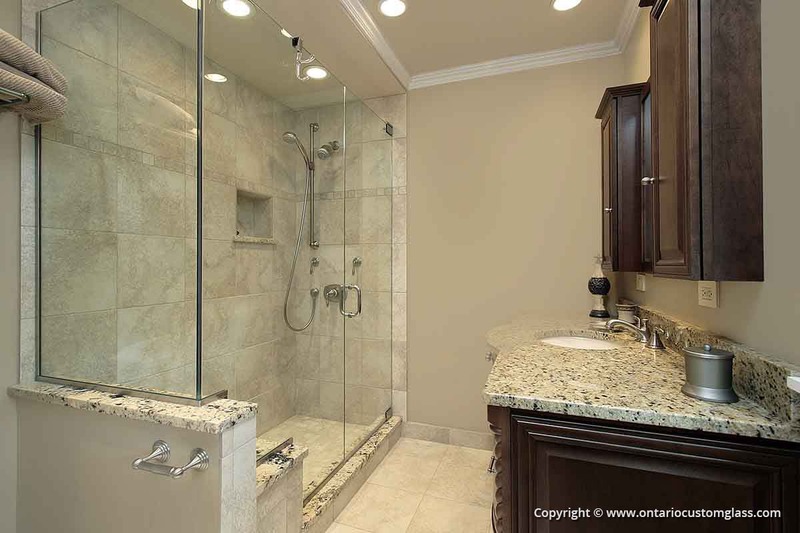 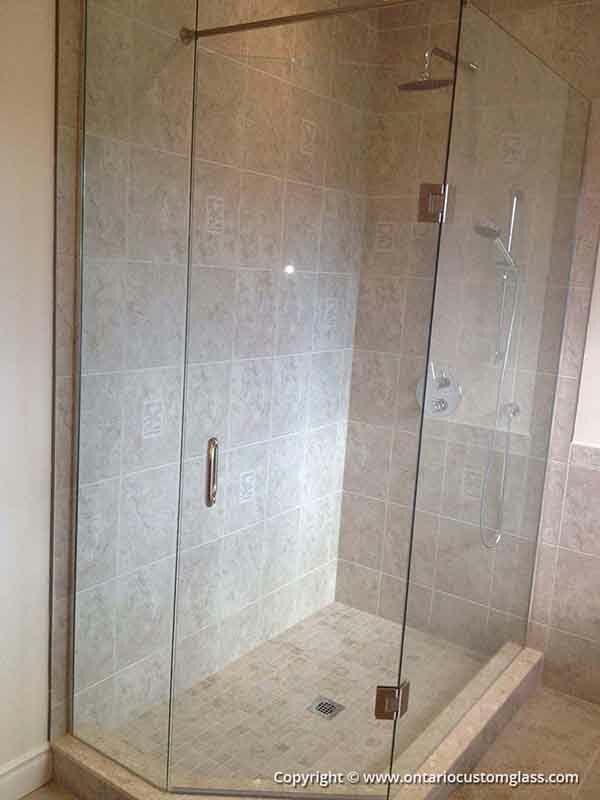 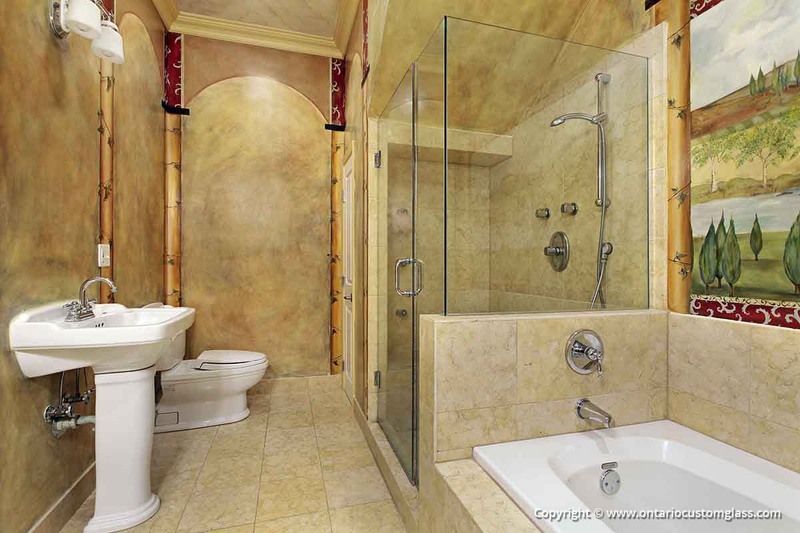 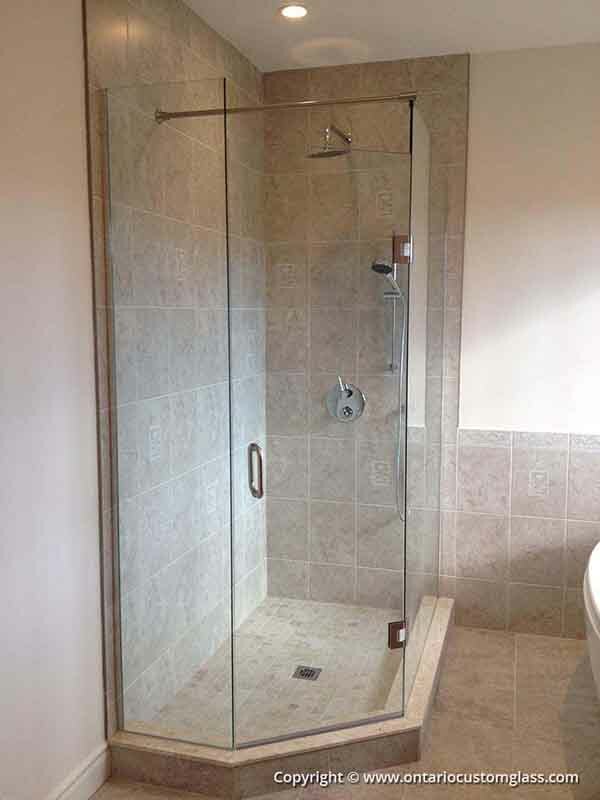 Take a close look at the varied shower design pictures. 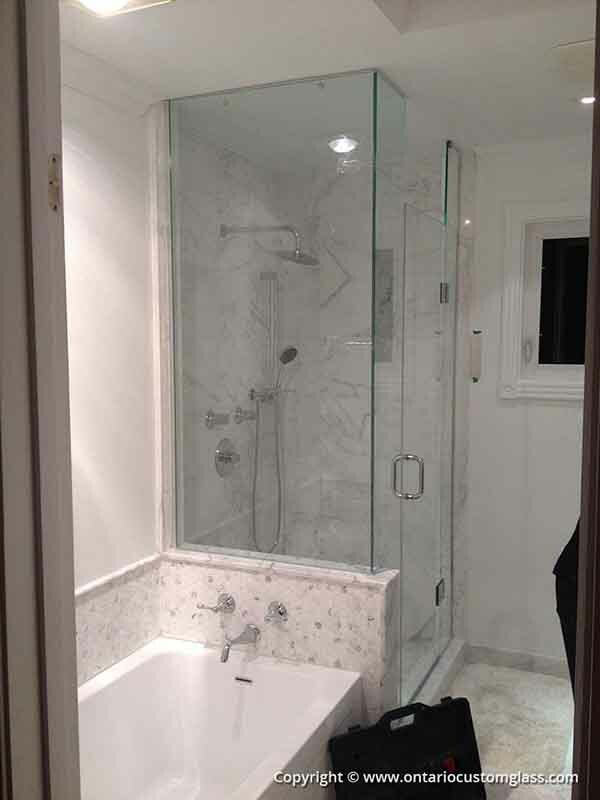 When considering the design you want, contrast the plain versus the more elaborate – the frameless versus the framed – the opportunities for hardware accessories – lines, curves or plain doors. 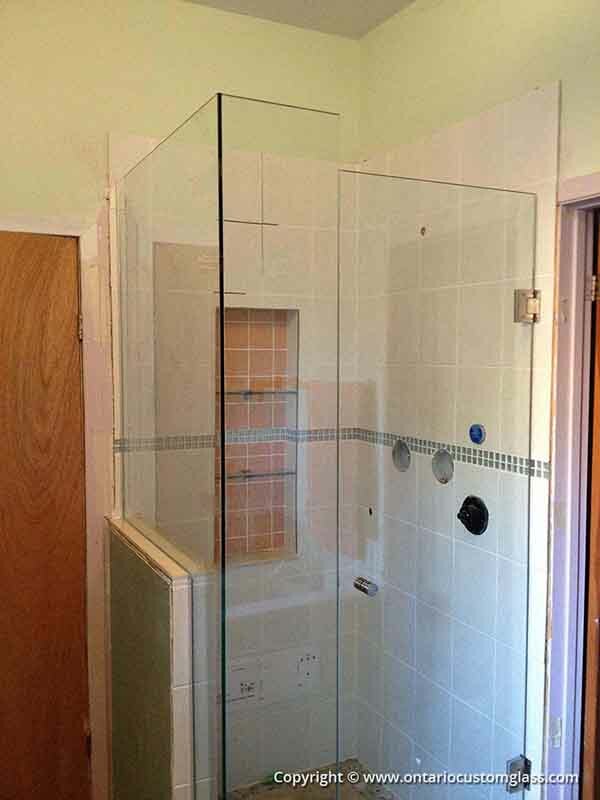 Despite the number of choices you have, you can always be assured that you can’t really go wrong with glass. 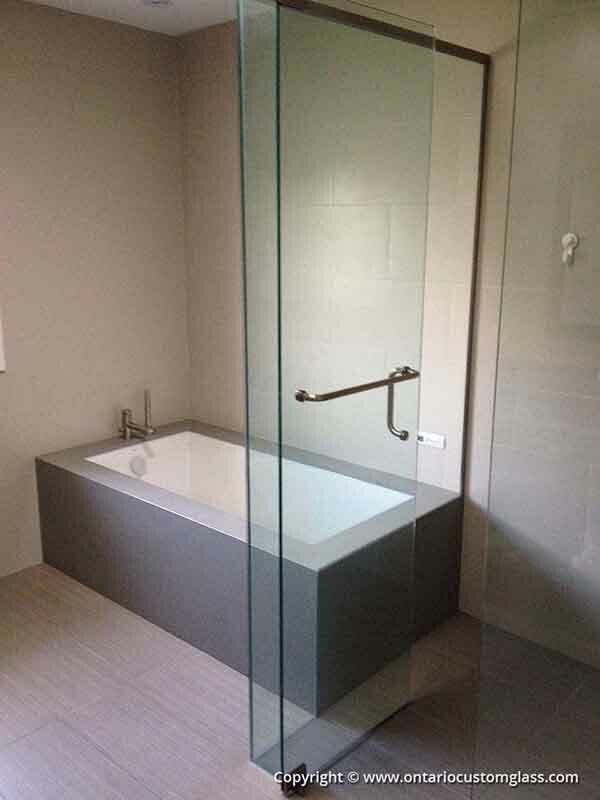 Even if you are heavily relying on other bathroom materials such as tile, stone or Formica®, glass showers are invariably appropriate for whatever other “look” you want to convey. 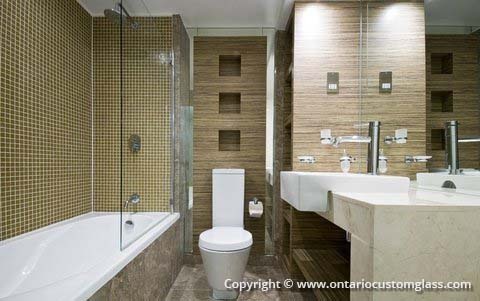 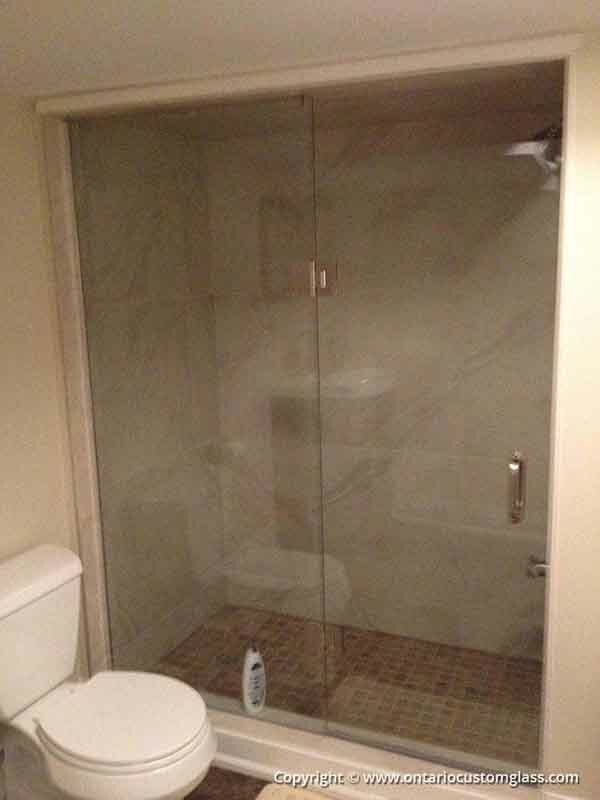 Ontario Custom Glass can design, fabricate, deliver and install whatever you see in this photo gallery or anything possible combination you can imagine. 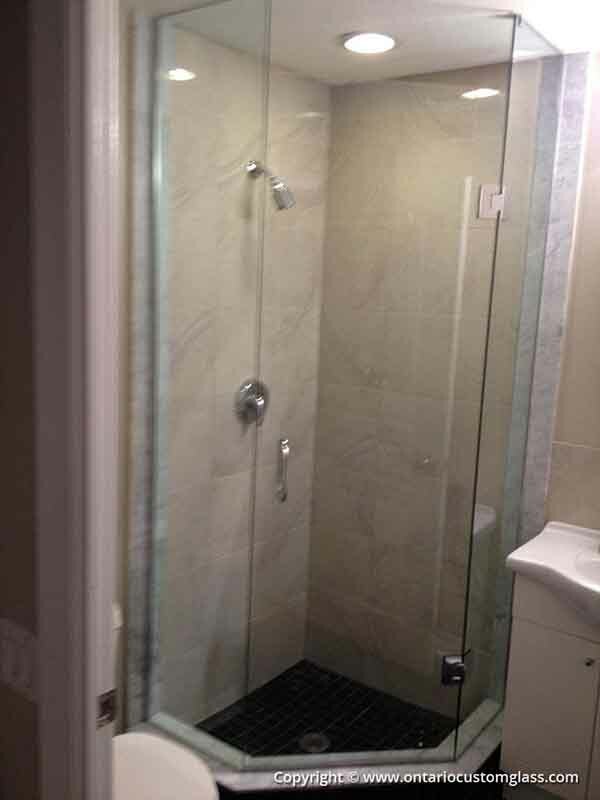 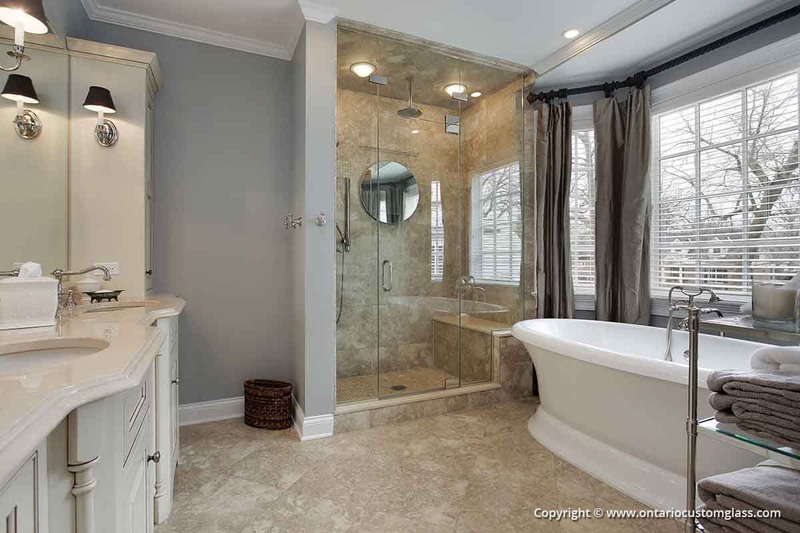 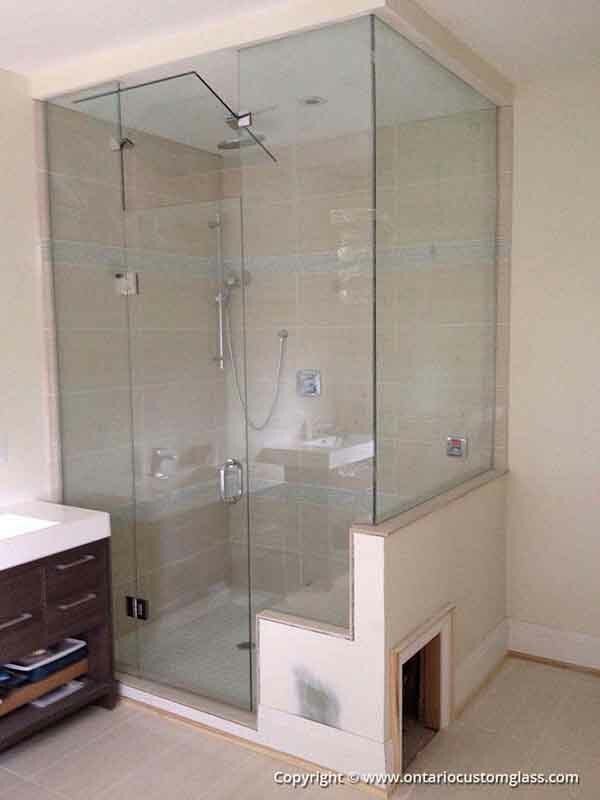 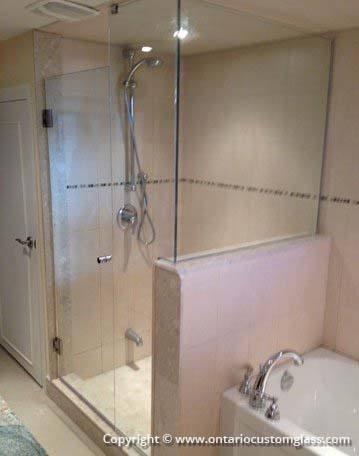 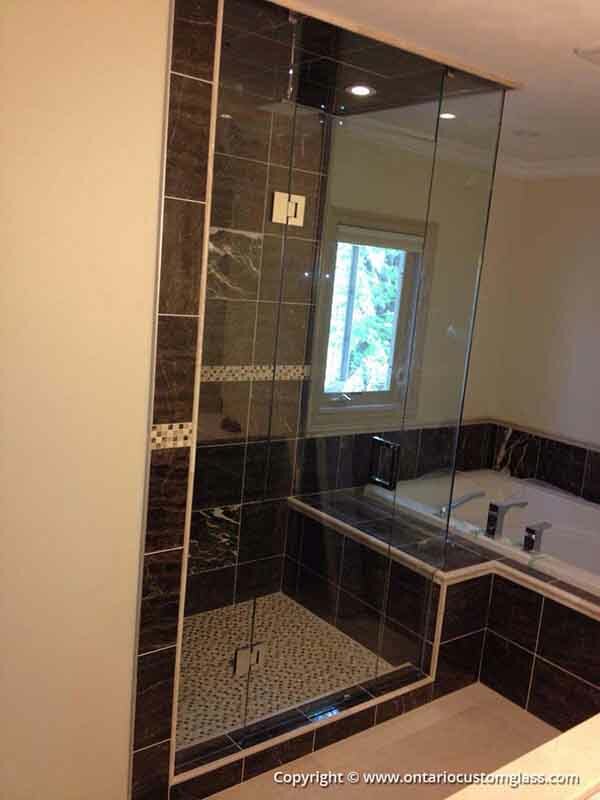 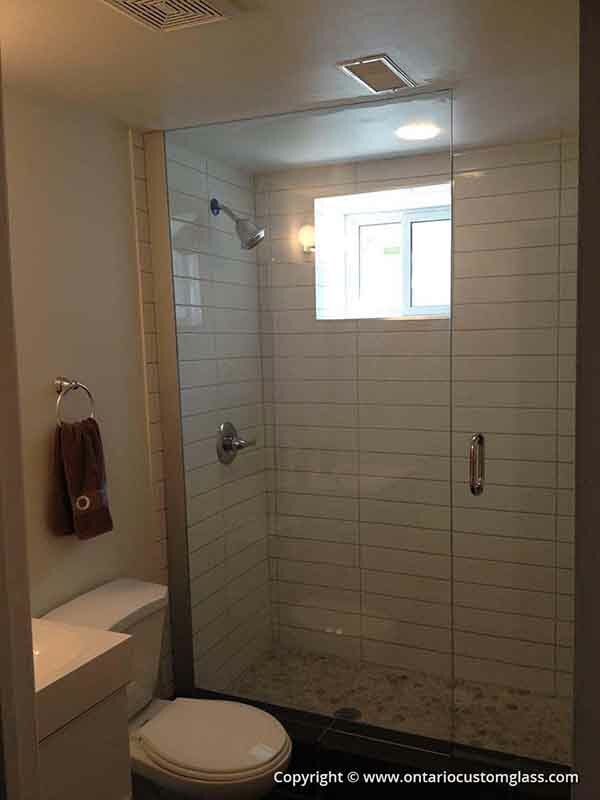 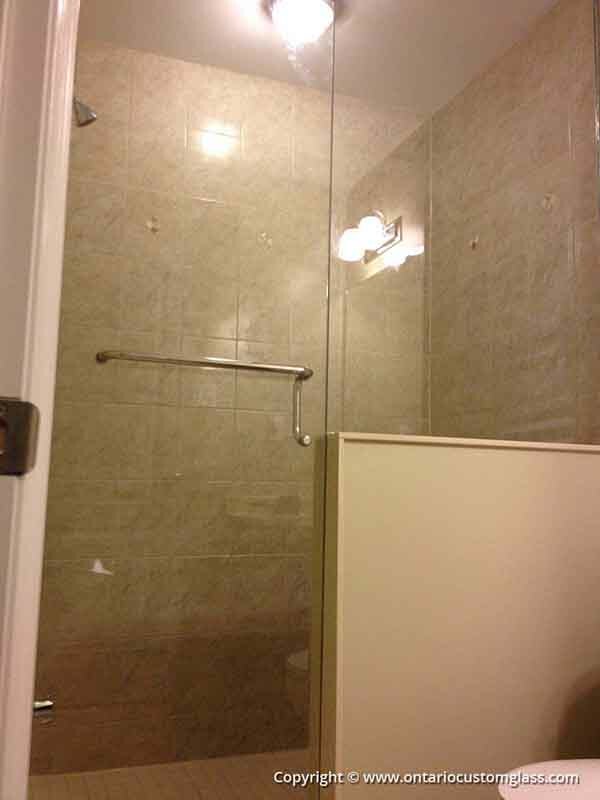 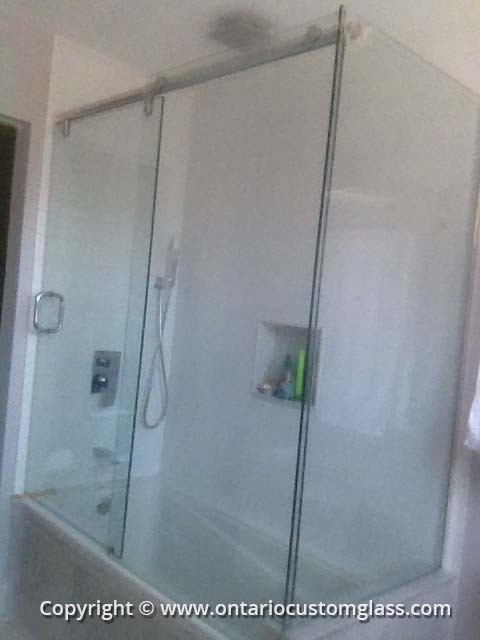 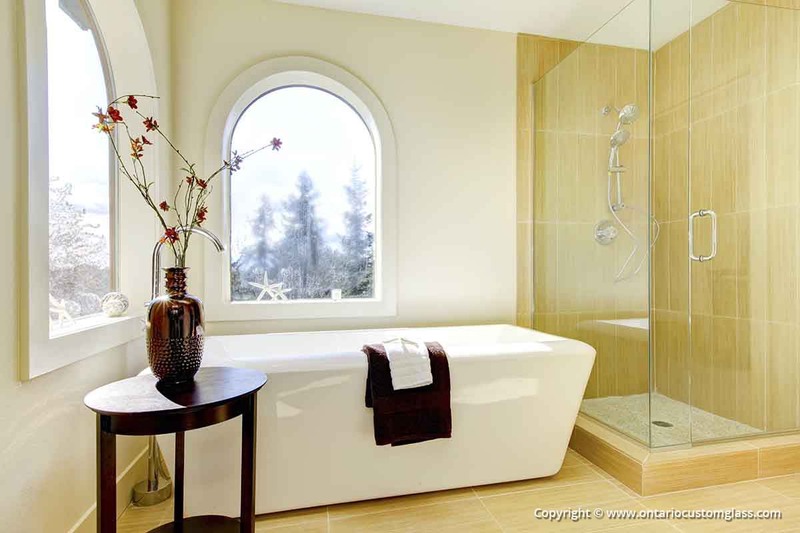 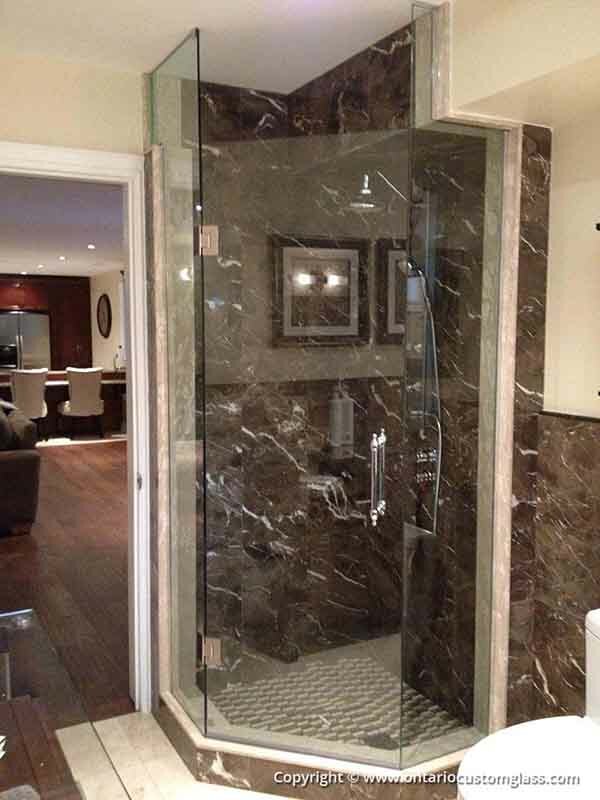 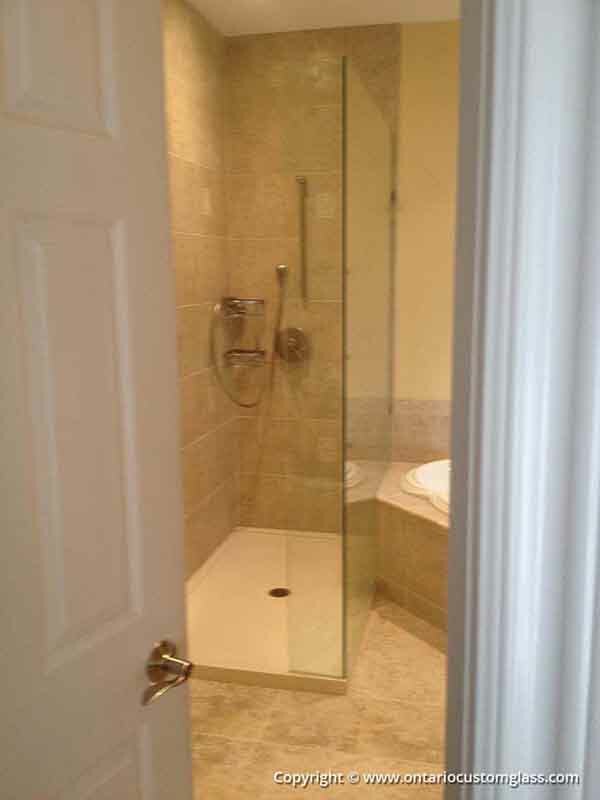 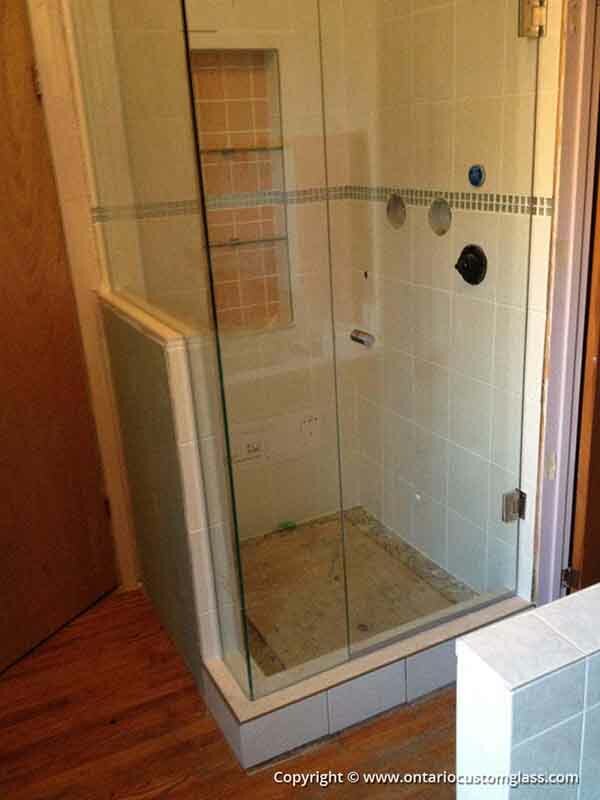 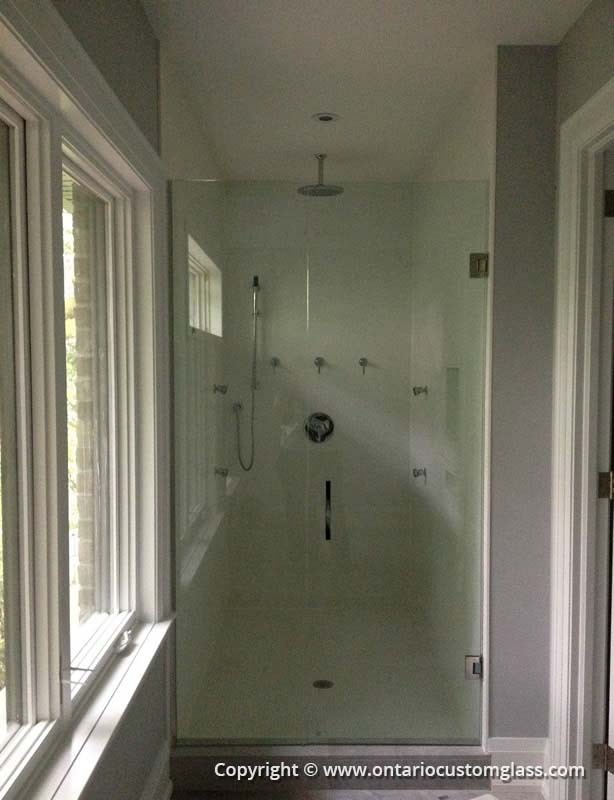 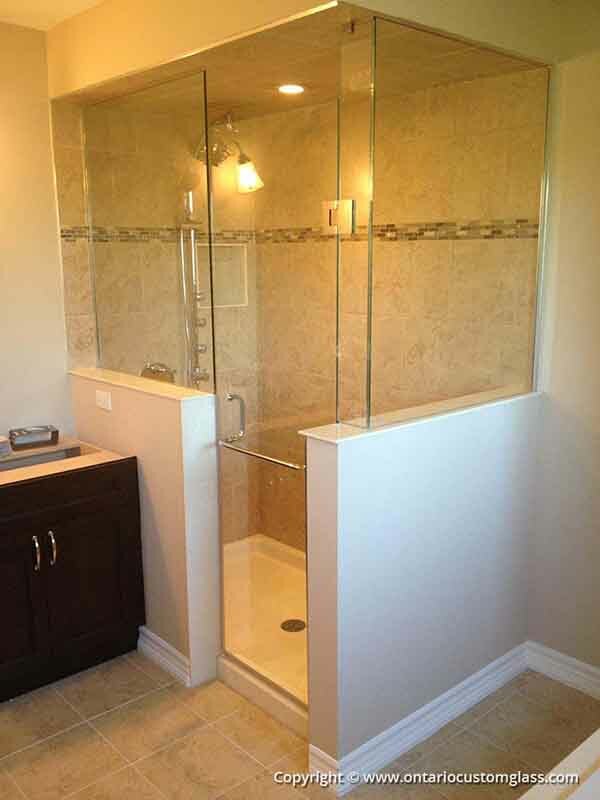 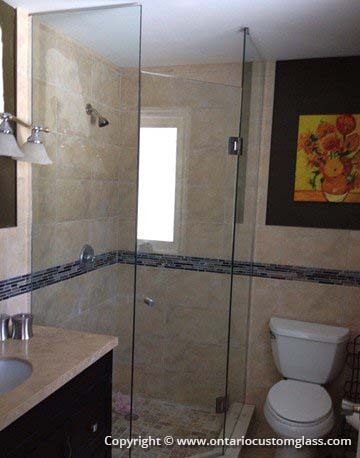 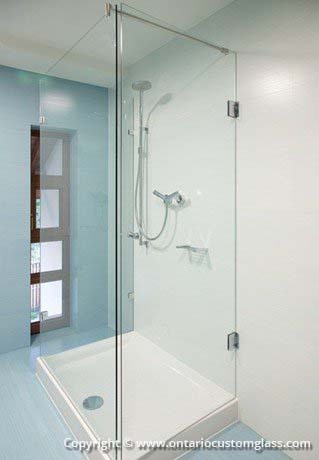 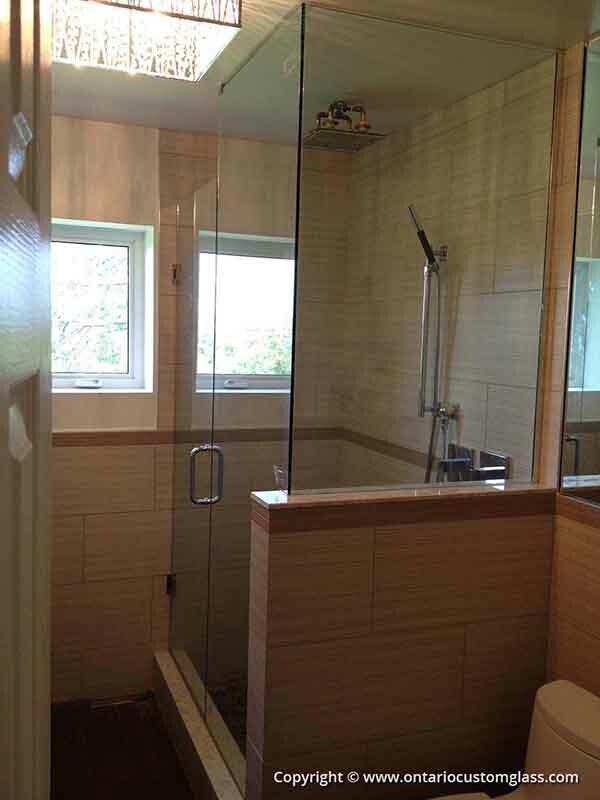 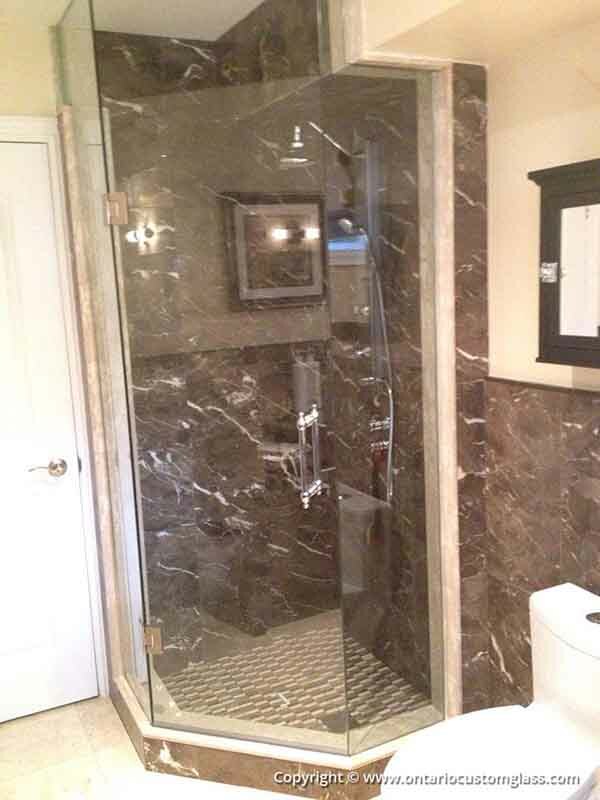 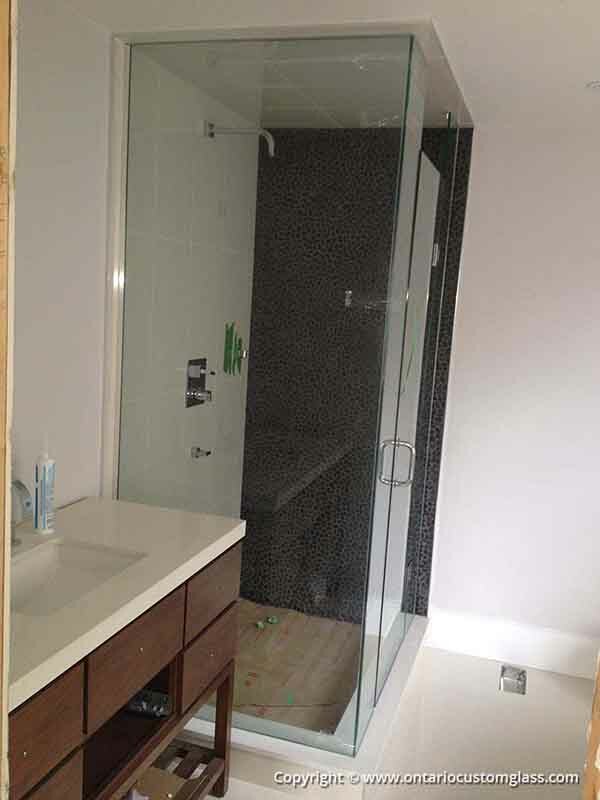 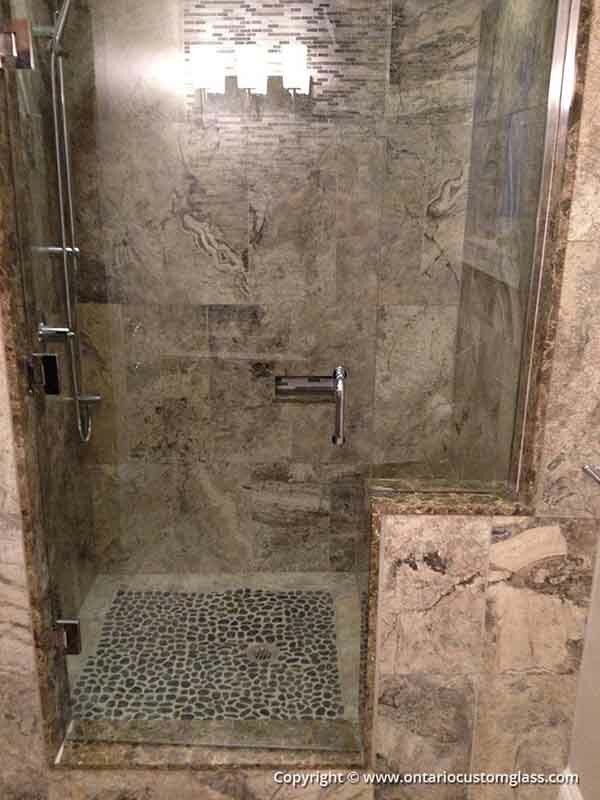 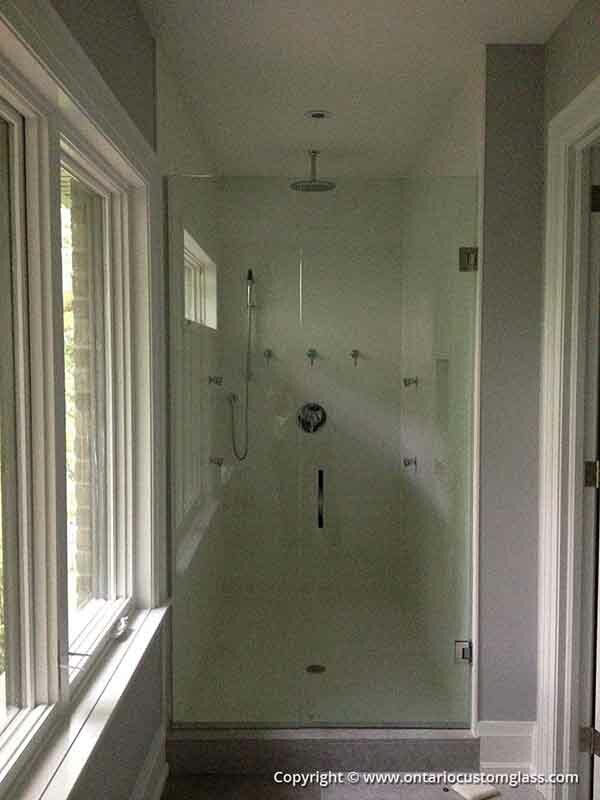 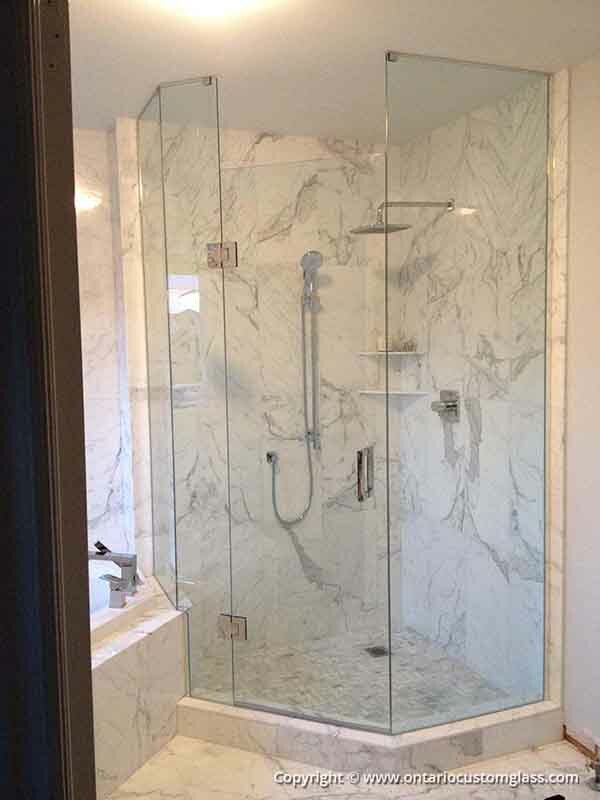 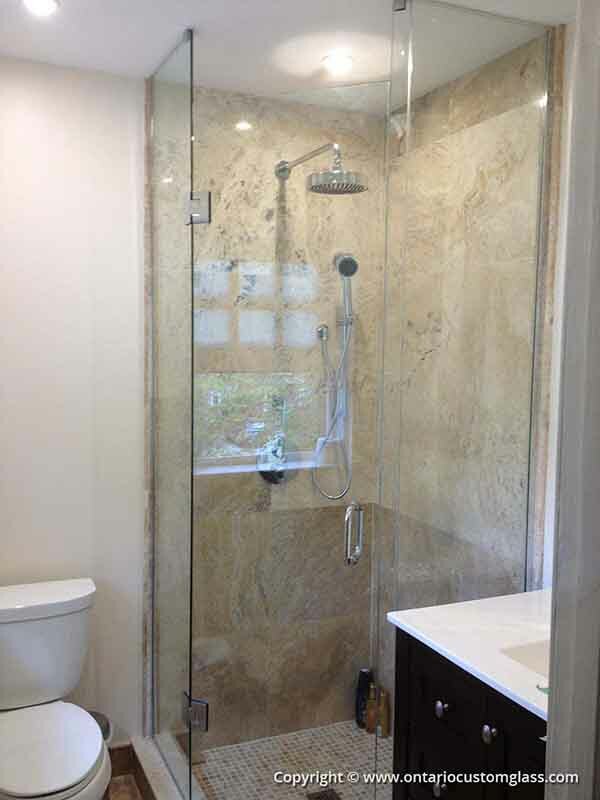 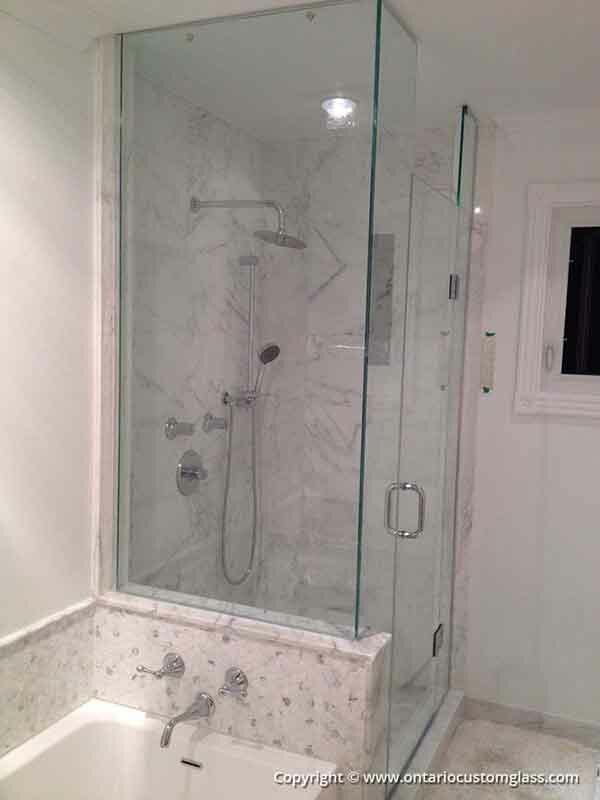 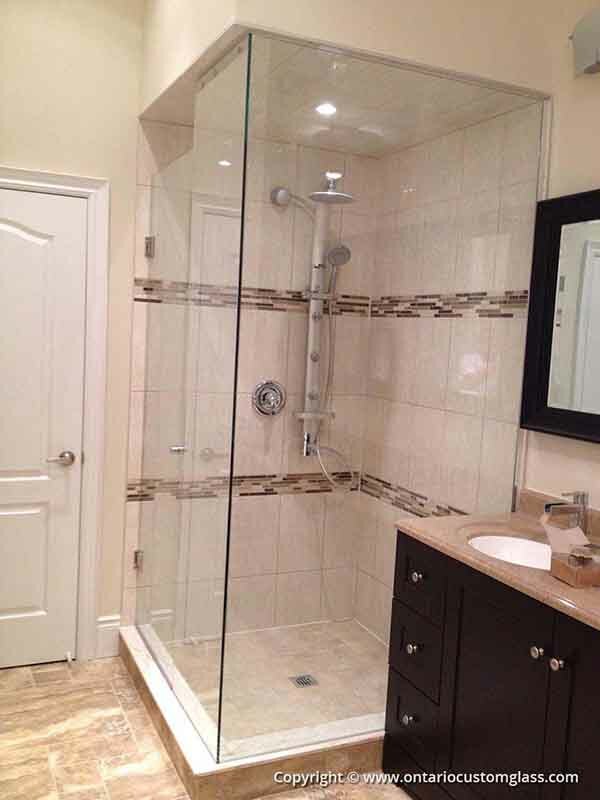 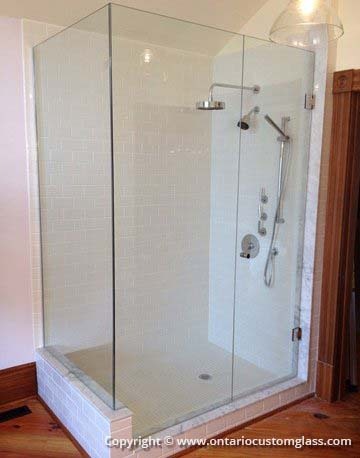 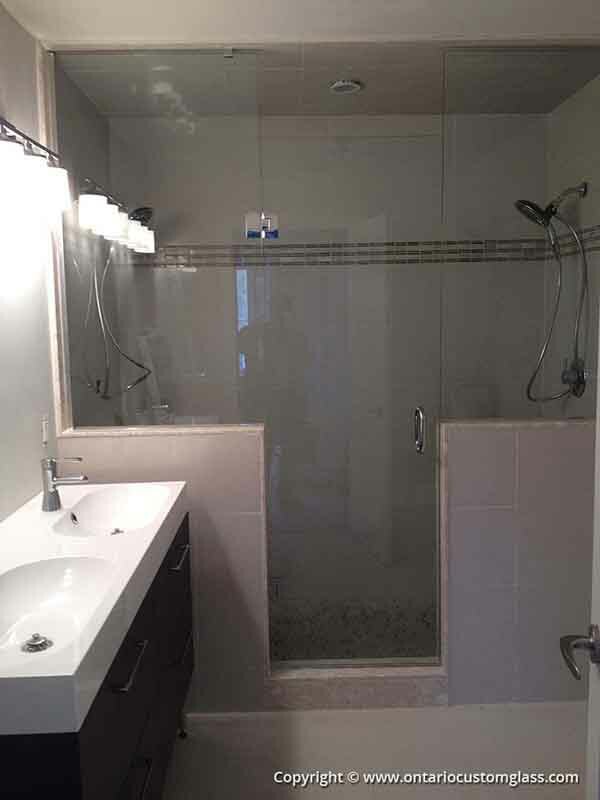 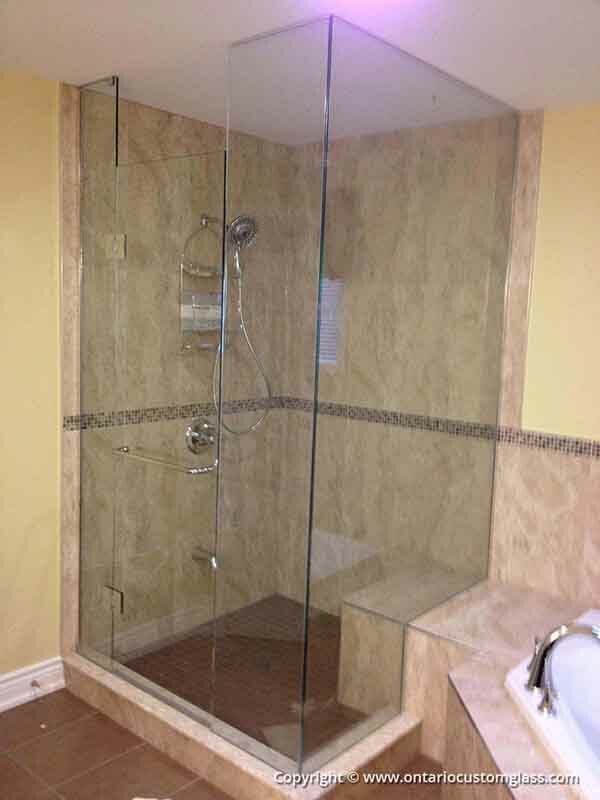 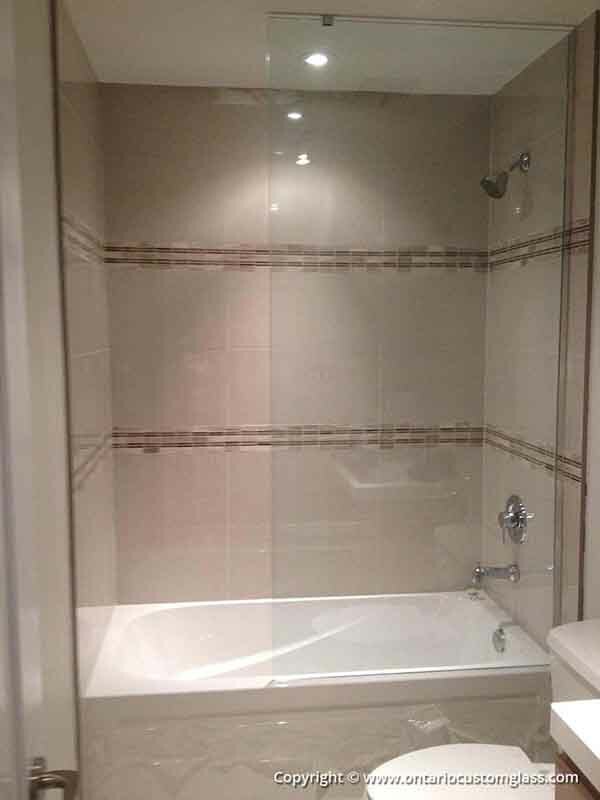 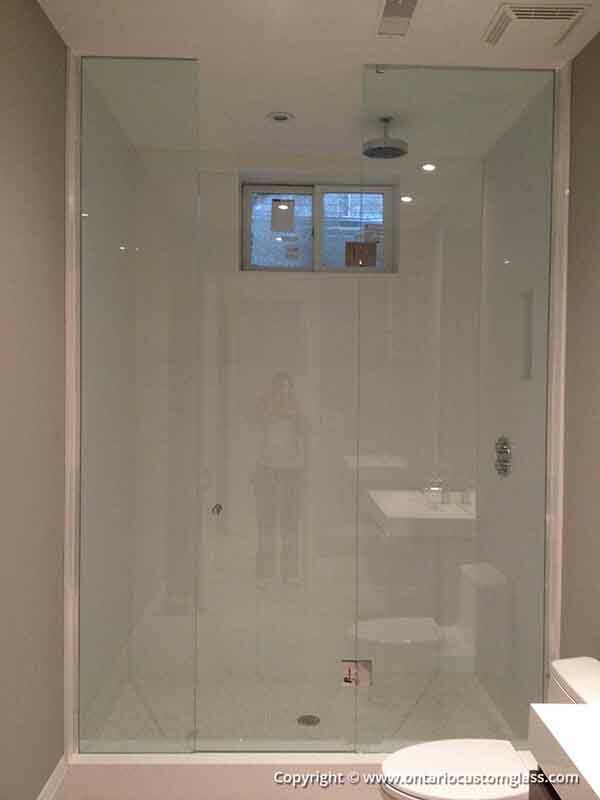 Also remember that when you choose to deal with someone who specializes in glass shower doors every day as we do, you get the benefit of our years of experience in creating custom solutions for every sort of bathroom project. 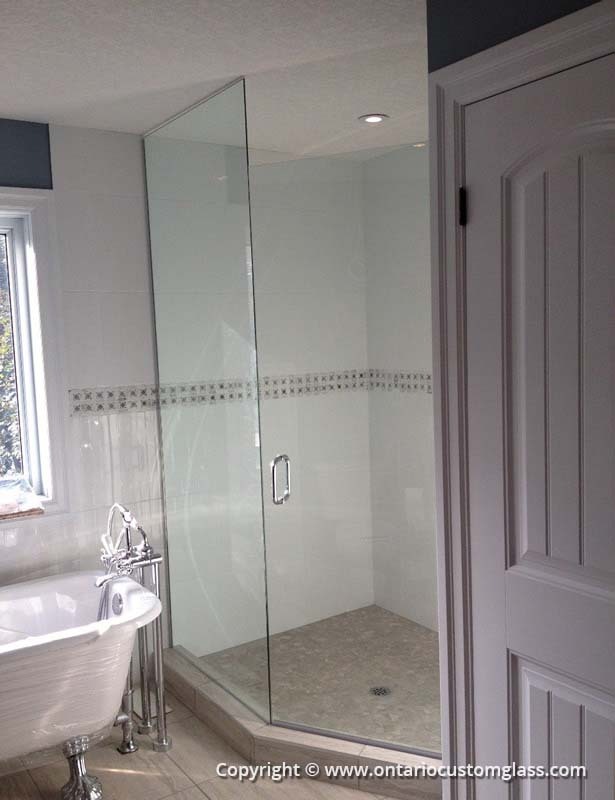 Our advice is free, our designs are unique, and our workmanship is excellent!